If you have any questions, please call or text me at 303-475-1500, I am here to help. *** Check out the New Free Mobile App from HomeSnap. Voted most addictive Real Estate Search App by HGTV. Visit homesnap.com/jay-hicks to explore this amazing mobile experience. If your using Zillow, I guarantee you will find better quality of data as homesnap is updated by the MLS every 10 minutes. Right now Denver agents have to manually input their listings into Zillow. "I really cannot say enough great words about Jay." " He expertly guided us" At the very first showing, "Jay took 45 minutes afterward to talk with us and figure out exactly what it was we were looking for" "Jay was always available by text and email"
"Jay was very very helpful, and even managed to get us into a home before it hit the market, which was incredibly helpful as we had been outbid on 3 separate offers we had placed. If you are a first time home buyer, Jay is the man for you! If you're looking for a new home, and want a buyers agent with lots of local expertise and knowledge, call Jay." Learn how they beat out the competition and won in their personal story. "Awesome Tips and Strategies" "Always there when we needed him." "Worked his magic!" "His experience in this market really helped us." "Jay worked hard to get us into the house we wanted in the location that we wanted even though we didn't have a huge budget to work with. We can't wait to move into our new Denver home. Thanks Jay!" "Jay was very helpful in getting our house listed and it sold in 3 days. Additionally, he helped us find our new house in Denver. 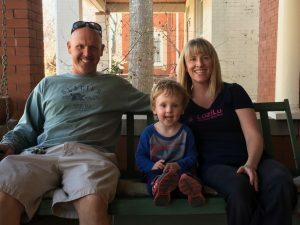 Jay knows the Denver neighborhoods better than anyone I've ever met." Angie List Review How was your experience? - Wonderful - Jay listened and really took the time to find and show us only what we wanted. Very Reasonable Fees and Excellent Service. I look forward to referring Jay to friends that need a Realtor®"
Mario joined the Key2DenverHomes VIP club last December as he was looking to find an updated home in Aurora so that he and his amazing daughter Sofie could spend quality time on the weekends. After a few weeks of looking at homes, we found a beautiful 2 Story home is located in the coveted Murphy Creek Golf community with pool, golf course, clubhouse, bike paths, and tennis courts. "Represented me very well" "Great Guy" "Highly recommend him" "Knowledgeable about the Home Buying Process"
Did you know Greenwood Village Police will Watch your Home when you go on Vacation? Traveling for the Holidays or planning your summer vacation? If you live in Greenwood Village, the police will drive by your home and check on it as a service to its residents. How cool is that? Just click on this link and fill out the Vacation House Watch Request form. Luis and Katie closed on their home yesterday, a beautiful 4 bedroom home in Ken Caryl Ranch. 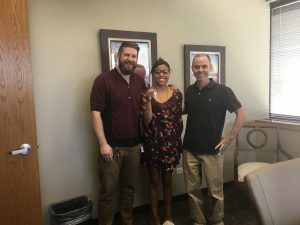 They are excited to join the community of Ken Caryl and it was a pleasure to work with them as they navigated the home buying journey. Feel free to call me at 303-475-1500 if you are looking to buy or sell a home. I promise to work just as hard for you! 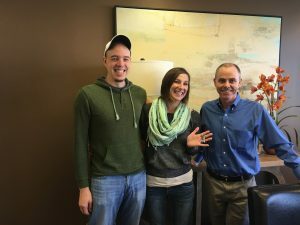 Buying a home in the RiverWalk Community in Littleton, CO-Testimony from Molly M.
" Jay was absolutely wonderful to work with. He was extremely responsive throughout the entire process of home shopping, submitting an offer, scheduling an inspection, follow up and closing. He even went out of his way to meet me multiple times so that I could view the property twice before submitting my offer. Thanks to his seasoned suggestions my first offer was accepted! I always felt that Jay was there to give me honest advice and respect my decisions. He also provided answers to any questions I had--any time of day, night or weekend. I would highly recommend Jay to anyone looking for a competent, energetic, friendly, responsive and all-around super Realtor!